Love love love my Easygreen Sprouter, the best sprouter in the world (and believe me, I have and tried every sprouter there is! ) 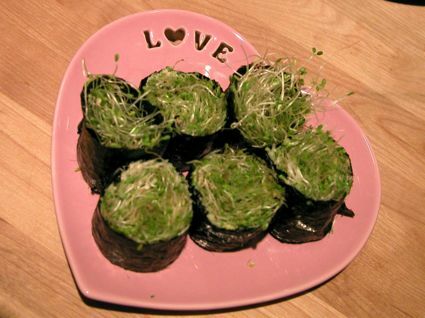 The chamber provides such perfect enviroment for the sprouts, it sprays water automatically with the set timer, no soaking, no rinsing, zip, nada… takes just 5 days to mature — everyday put in a tray, everyday you harvest a tray of sprouts. It is fantastic! But enough gushing! What brought me here was an attempt to find out more about the Easygreen. Specifically, do you think it would work year-round in the kitchen of a Victorian house that reaches (due to the combination of poor English weather and poor English insulation) freezing temperatures overnight in the winter? I’m vaguely thinking of getting one, but it occurs to me that adding a heat mat and thermostat may be necessary for the months ahead! I guess you will just have to try it out yourself, I hope it will work just fine. Wow, that was quick Thanks Jung!